Want to be notified of new releases in MrYsLab/s2aio? 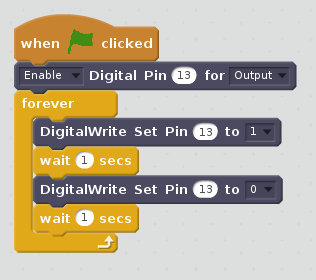 Program, control and monitor an Arduino board using the Scratch or Snap! visual programming languages without having to learn C++. Written in Python using the new Python 3.5 asyncio library. Cross platform - works with Windows, Mac and Linux (including Debian Raspberry Pi). Want to learn more? Check out the Wiki pages.